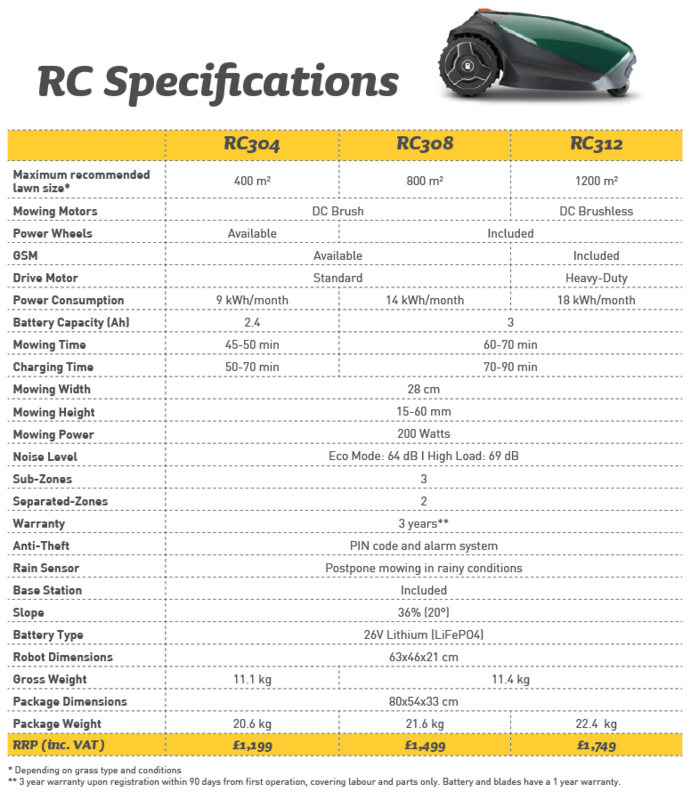 Introducing the Premium Robomow Robotic Lawnmower Range (RC/RS Models). The Premium Robomow RC and RS models are the top of the range line of Robomow and offer the very latest in mowing performance and unrivaled quality for the ultimate lawn mowing solution. 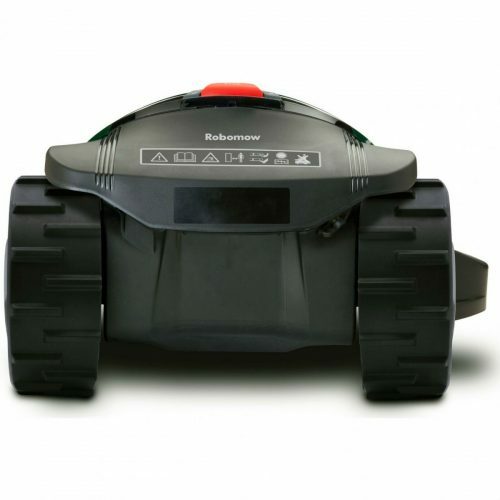 The premium features of the RC and RS models offer the best lawn coverage and performance of any Robomow and is designed to maximise the use of all the advanced features to give your garden the best care possible. Everything you need to install your robotic mower, in a kit. Extra cable and other accessories also available if necessary. If you would like us to install your robotic mower for you, you can select this too. 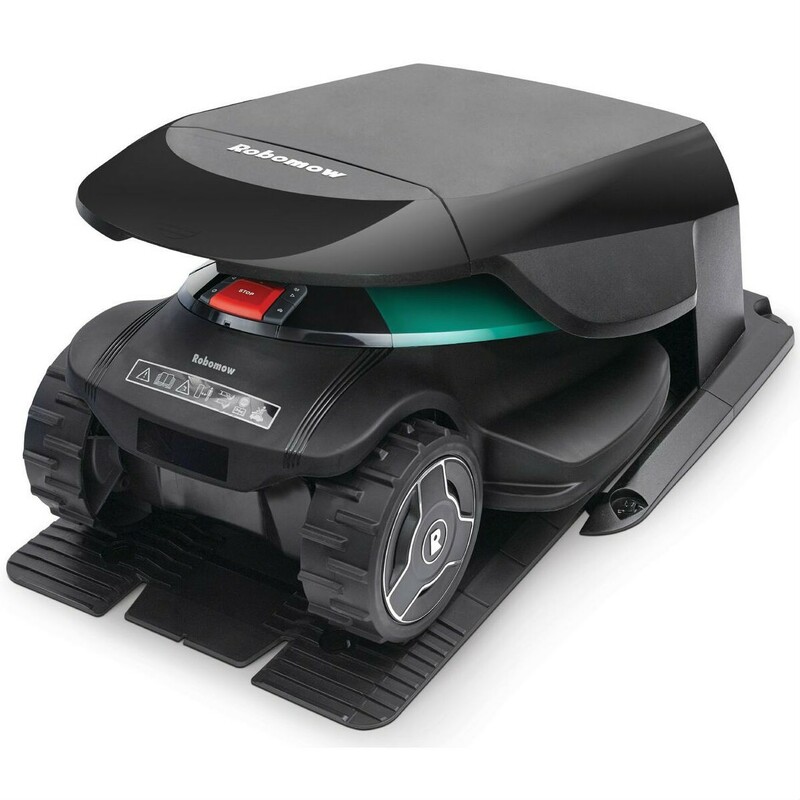 * SmartMow: Robomow’s unique software feature provides more effective manoeuvrability and seamless navigation. The mower plans the next turn in advance without having to stop at the perimeter wire. This makes Robomow faster, more efficient and increases motor lifespan. 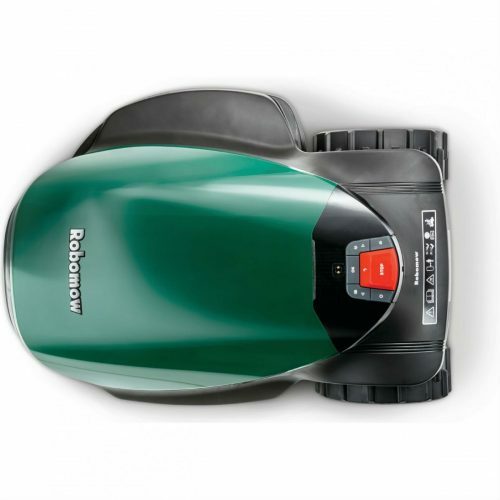 The Premium Robomow RC304U is the perfect robomower for maintaining lawns of up to 500 m2 in size. 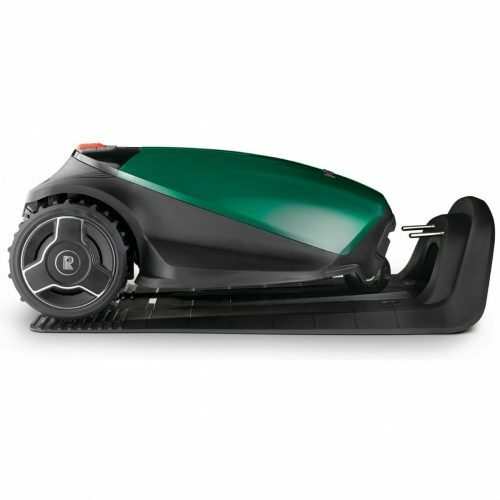 Complete with Base Station, this nifty compact machine is lean and green, yet with plenty of power to complete the job, with its on board lithium-ion (LiFePO4) battery. 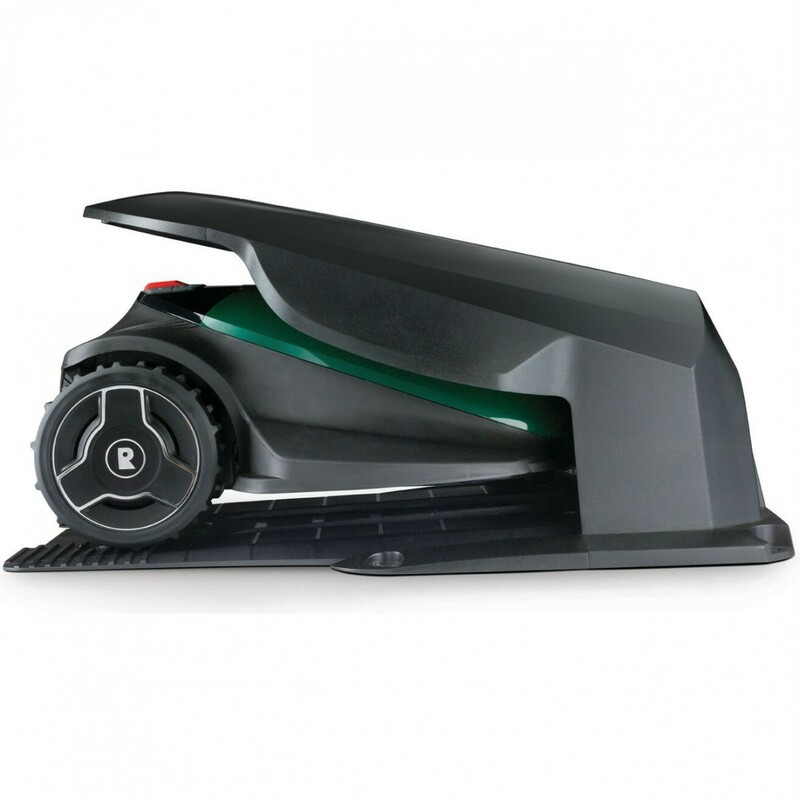 With the reversible tri-blade to mulch the grass, this fully automated solution will leave your lawn looking its prime all the time. 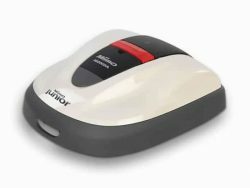 Using the built in Bluetooth connectivity it is now even easier to manage with the free Robomow app via your smartphone. With all the technological advantages and features available for the smaller garden, with the Robomow RC304, your lawn is one less thing to worry about. Very good mower for the price! 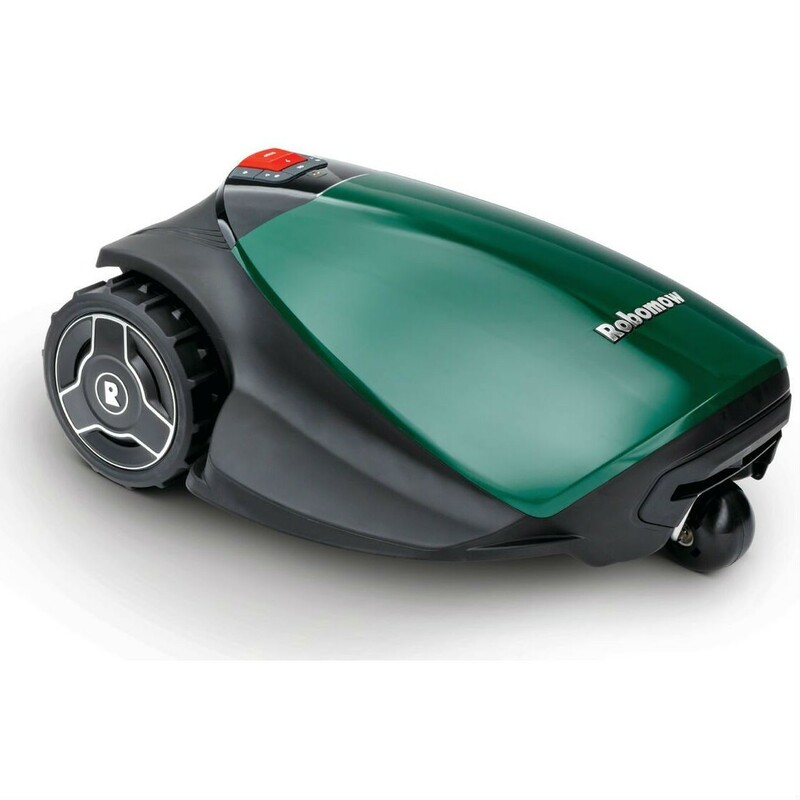 Robomow, one of the leading brands of robotic lawn mowers in the UK, offer a range of mowers to suit different garden sizes and budgets. Ranging from the smallest RX models to the mid-size RC models, right up to the largest RS models – which is recommended for mowing areas of up to 3600m2. The RS635 PRO SX is the largest offering from Robomow and comes complete with all of the features you would expect from a heavy duty machine. Robomow pride themselves on the quality of their cut, and this is thanks in part to their unique edge cutting feature which allows the mower to cut effortlessly to the very edges of your lawn. 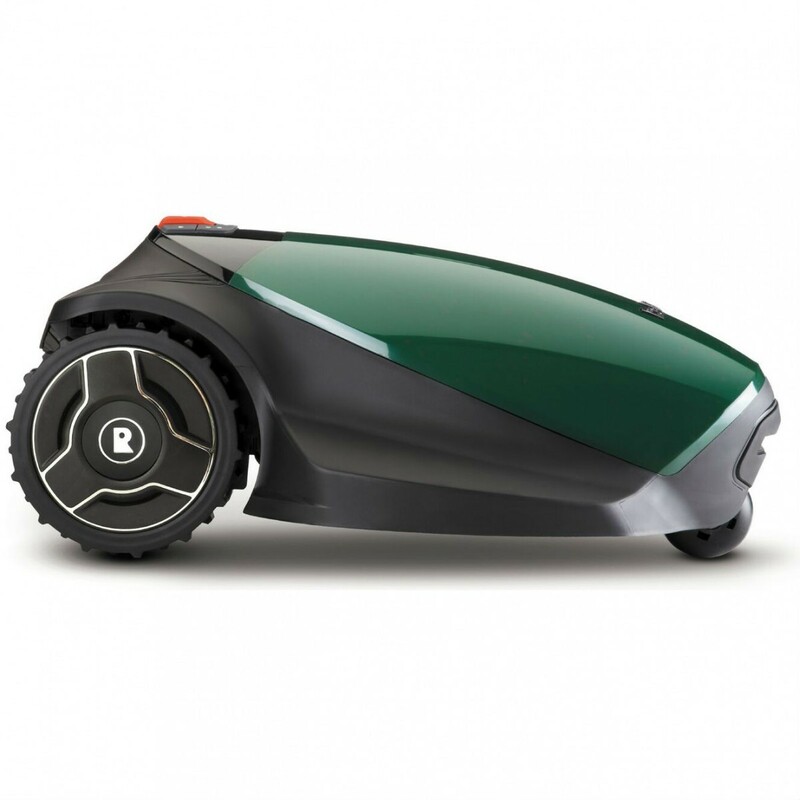 If you are looking for a top of the range mower for your garden, the Robomow could be the perfect mower for you. 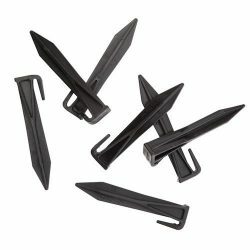 Heavy-duty steel blades and a robust, holistic design. Wider cutting widths, resulting in Robomow spending less time on your lawn. 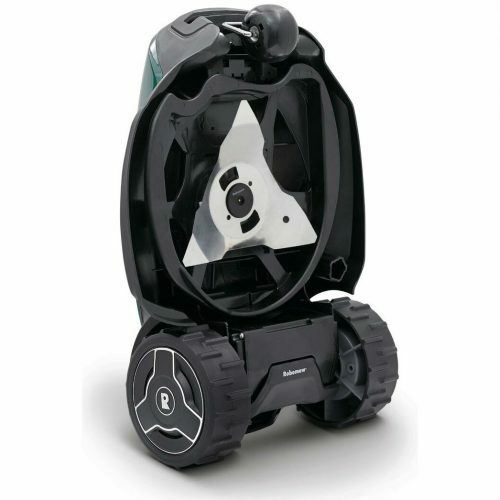 Unique Edging mode – the only robotic mower that cuts beyond its wheel. At Platts Horticulture, we pride ourselves on our high-levels of customer service and good product knowledge and we’re happy to provide help and support throughout the process, from your initial purchase decision right through to after you have purchased your product. We know that not all our customers are looking for the same products, and that they come to us with different knowledge levels, so we are here and on hand to help. Just drop us and email or give us a call. Nothing is too much trouble! All products are pre-checked by one of our well-trained team members to ensure all products leave us in perfect condition. While this means that sometimes not all orders will be sent out on same day dispatch, it does mean you’ll be entirely satisfied and ensures peace of mind that you have chosen the right place to buy from. We know sometimes things go wrong, but we do our best to make sure they don’t, and if you have any problems just get in touch with one of our helpful team who will be able to help fix it. If there’s anything you can’t find or you just need a little bit more help, feel contact us on 01732 867 887. We are open Mon- Fri, 8am-5pm.